The Mach 7-7 introduced a radical, new concept: the "ion speed" slick bottom. 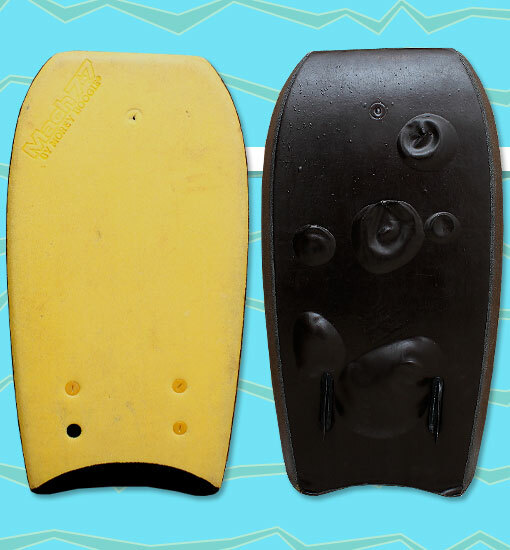 Its groundbreaking design forever changed the face of bodyboarding. The original black bottom Mach 7-7 was only produced for two years before switching to the familiar orange bottom. This was mostly because the black bottom had a tendency to bubble in the sunlight. This particular board is a great example of what happened when an original Mach 7-7 was left too long in the sun. Photo: Shane Griffiths.